Well. Sorry for guys I haven’t done any updates for 2 weeks because I’m currently going through some personal issue which dramatically impact my life. I’m trying to recover from this disaster and hope I can back on my feet soon. Anyway, here is a small post regarding what I have found today. 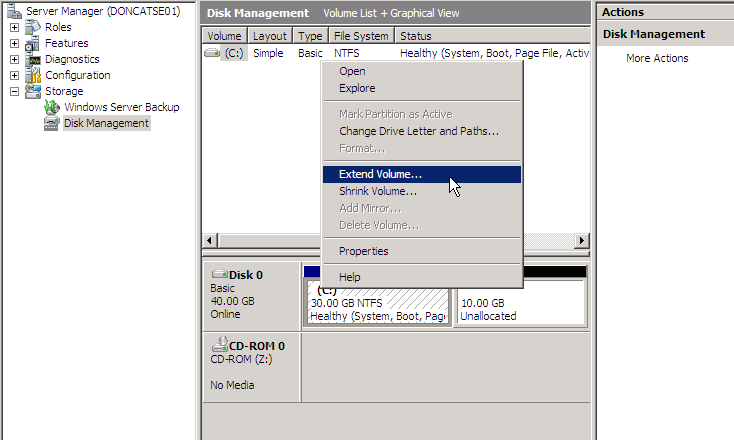 We usually assign 30GB for Windows 2008 C drive from template. However, we have noticed the size of C drive has been consumed dramatically by Windows itself. 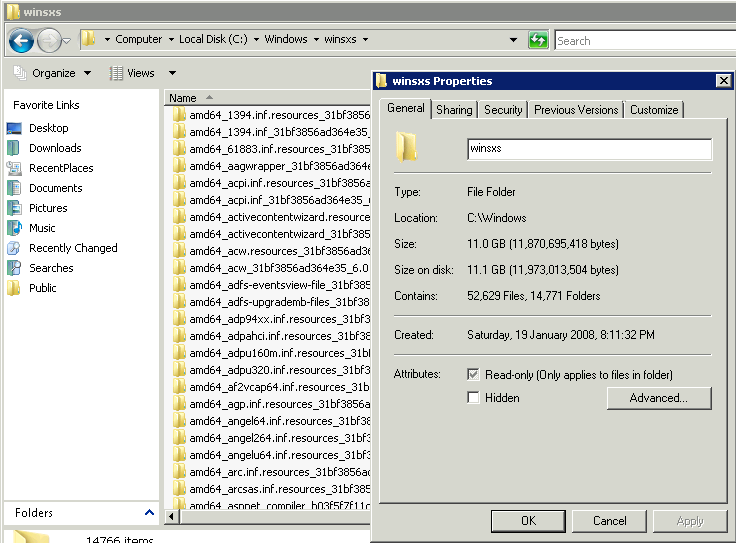 After investigating for a while, we have discovered there is a folder called winsxs under c:\windows occupies more than 11GB space. After talking to Microsoft and we discover following fact. permanent by removing all of the superseded RTM code that is replaced by SP1 components. So this is another by design feature for MS in terms of having capability to roll back. 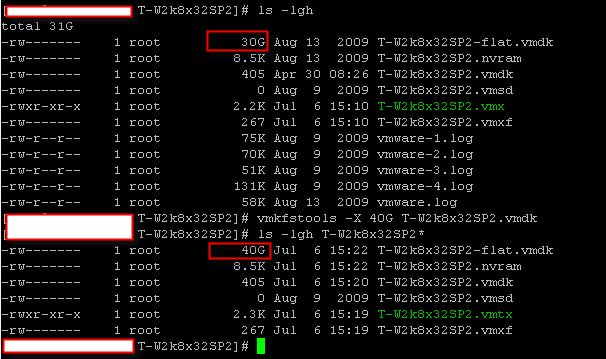 We have decided to extend the size of OS from 30GB to 40GB instead of using tools to consolidate SP2. Following is the procedure how you do it.